Nissans are dependable vehicles when cared for properly. Our ASE certified technicians know what it takes to keep your Nissan Altima or Nissan Sentra in good shape. Our NAPA® authorized auto care center if equipped with the latest technologies and state-of-the-art resources,allowing us to provide a wide range of automotive services for all model Nissans. 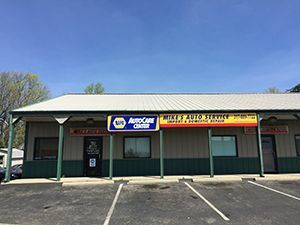 We use all NAPA® and OEM auto parts to provide services such as scheduled car maintenance, auto repairs, replacements, inspections, tow truck service, and much more. When it comes to your Nissan, we are the qualified mechanics to trust. You can get professional Nissan repair services at a fraction of what the dealership charges! As a family owned and operated business, we are passionate about work ethic and integrity. For this reason, we make every effort to provide first-class service at economy-based prices. We also offer new customer discounts up to 10% off any service! Our technicians start by taking the time to listen to your concerns, and follow up with a concentrated inspection. This ensures we find and fix the problem correctly, the first time. Our ultimate goal is to get your Nissan back on the road in a convenient time frame, all for a price you can afford. Call our office directly at 317-889-7722 to schedule an appointment today.